One of the best things about writing a historical is the clothes. I know. That’s a little embarrassing to say. They’re just clothes, right? But, to be very honest, not only are clothes fun and fabulous and exciting to write about, but they’re incredible symbolic of what was happening culturally at the time. We can make fun of fashion all day, every day, but the truth is that fashion is a reflection of who we are as a people, for better or for worse. Historical fashion is no different— it’s flexible, it changes by the year, sometimes by the month, and is one of the clearest windows into the way people lived. 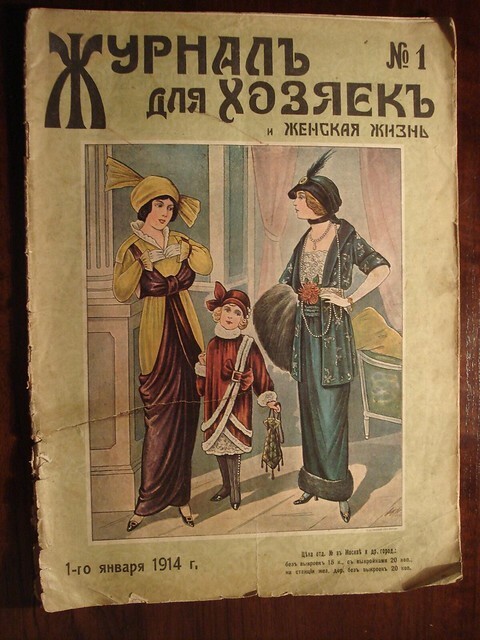 With that in mind, it was really, really important to me that I not just write about early 20th century Russian fashion— I wanted to write about 1917 Russian fashion. And one of the best ways to work out exactly what people were wearing in 1917? eBay. This sounds weird, but is a research trick I worked out while writing another historical a few years back. 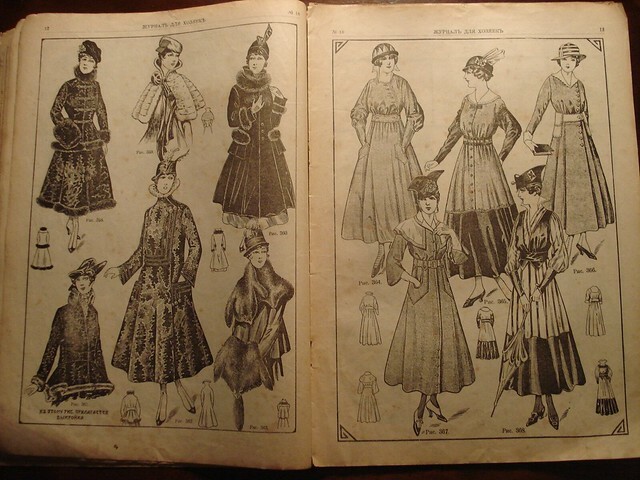 eBay is packed with antique clothing catalogs, that came out in specific seasons/years. 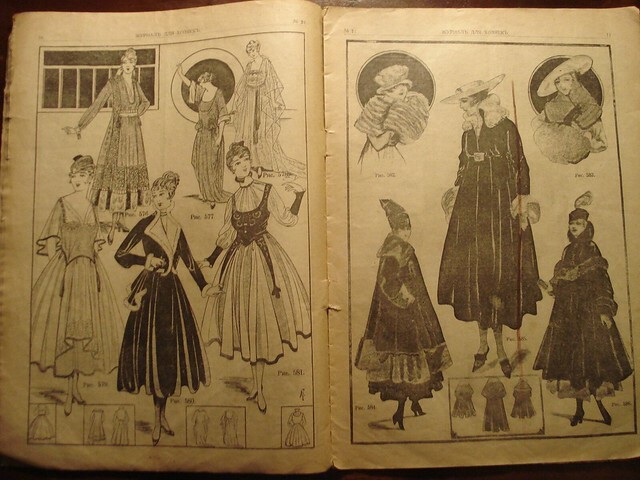 So, we can literally find a catalog— which had the latest fashions— for July of 1917. I used the catalogs in a variety of ways. For Natalya, I used fashion from a season or two prior, since it made sense that she would have very fashionable clothes, but perhaps wouldn’t be on the cutting edge of fashion. I chose styles for her that were classic and elegant, like those on the left hand side of the image below, in lots of lovely blues and velvets. One thing that I really loved about Russian fashion is how Russian it is. A lot of the fashion from Western Europe runs together— it becomes difficult to tell French from German from British. 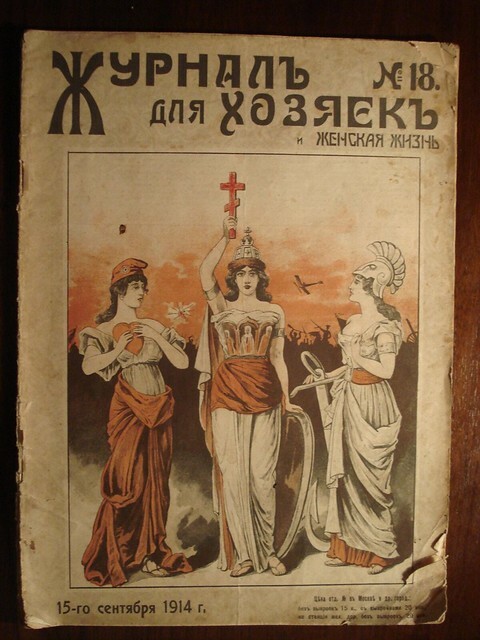 Russian fashion definitely got a lot of inspiration from French fashion, but certain things were uniquely Russian. Coats, for example— look at the left page below. The fur, the embroidery— it’s all very traditional. You go, Russia fashion. You BE RUSSIAN.